Sometime in early August, the Federal Charter of 1291 is signed, documenting the alliance of the three cantons in central Switzerland. While the exact date is unknown, years later it will be regarded as the founding of Switzerland and the basis for celebrating Swiss National Day on August 1. (1291) Agreement lays groundwork for modern Switzerland. German-born George Louis now reigns over Britain following the death of Queen Anne, with the 54-year-old becoming the first monarch of the House of Hanover. Much of the British public will deem him “too German,” but art and architecture will flourish in the new Georgian Era. Cashing in on a new form of popular entertainment, the MTV network debuts, complete with “video jockeys” (VJs) introducing music videos, a way of both listening to and watching popular songs. The first video shown, ‘Video Killed the Radio Star,’ will prove partially prophetic. Charles Joseph Whitman was an American mass murderer who became infamous as the "Texas Tower Sniper". 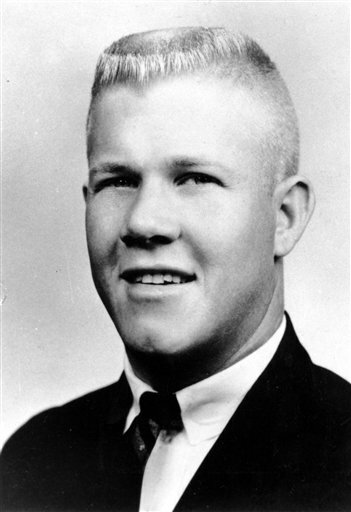 On August 1, 1966, he murdered his mother and wife in their homes, then went to the University of Texas at Austin where he shot and killed three people inside the university's tower. He then went to the tower's 28th-floor observation deck, where he fired at random for some 96 minutes, killing an additional eleven people and wounding thirty-one before being shot and killed by police. Sixteen people were killed in total; a 17th victim died in 2001 from injuries sustained in the attack. 1941: Whitman was born on June 24, 1941, in Lake Worth, Florida, the eldest of three sons born to Margaret E. (Hodges) and Charles Adolphus "C. A." 1962: On August 17, 1962, Whitman and Leissner were married in a Catholic ceremony held in Leissner's hometown of Needville, Texas. 1966: On August 1, 1966, he murdered his mother and wife in their homes, then went to the University of Texas at Austin where he shot and killed three people inside the university's tower.